After a long, and after getting too many emails and feedback from our readers, finally today again I am updating this SEMrush review. 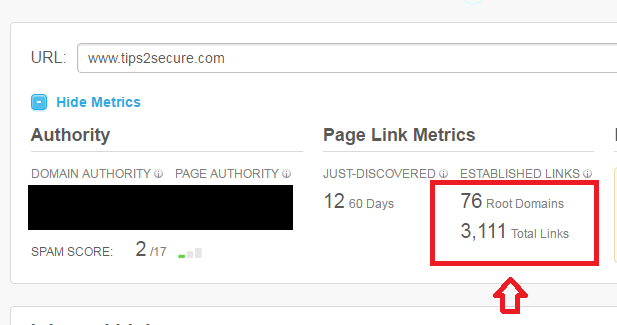 I used SEMrush pro account for 2-3 months. In this post, I am going to share my experience of that time period I used SEMrush. If you search "Semrush review" or "Semrush review 2019" or latest Semrush review in the Google then you will see lots of results and all the results recommend you to SEMrush and try to make their readers sign up for the SEMrush in every possible way. Yes, I said in every possible way because some of those reviews are Paid one to write such wordings and some of them are embedded with Affiliate links to grab commissions from SEMrush. If yes, then prove me wrong I will delete this Review (Challenge). To be honest, I was also one of them but when I started getting lots of emails from readers and users then I finally decided to write and update some real things that I faced while using this SEM tool. I will recommend you the perfect tool in this post that will surely help you in improving your rank and SEM of your blog/websites. Top affiliate and SEO gurus are recommending to use SEMrush for affiliate marketing but in actual, it is almost useless for affiliate marketing purposes. Gurus are saying like that because they themselves are affiliate marketers and working with SEMrush affiliate program. I have proof and facts of what I am saying. I will show you and you can check it yourself what I have said or going to say in this post is right or wrong. But I am doing so because I care my readers and do not want to lose the trust of my readers. I am not writing any long about affiliate marketing in this post. In short, every affiliate marketer target keywords like, "PRODUCT review", "best PRODUCT list" "PRODUCT name Discount", "PRODUCT name Deals and offers" etc.. So I researched and found a keyword which has 210 searches in Google only from the United States and this keyword is making good conversions, i.e., "zenmate vpn review"
Here is the screenshot that I took on 8th September 2016 from Google Adwords keyword planner tool. 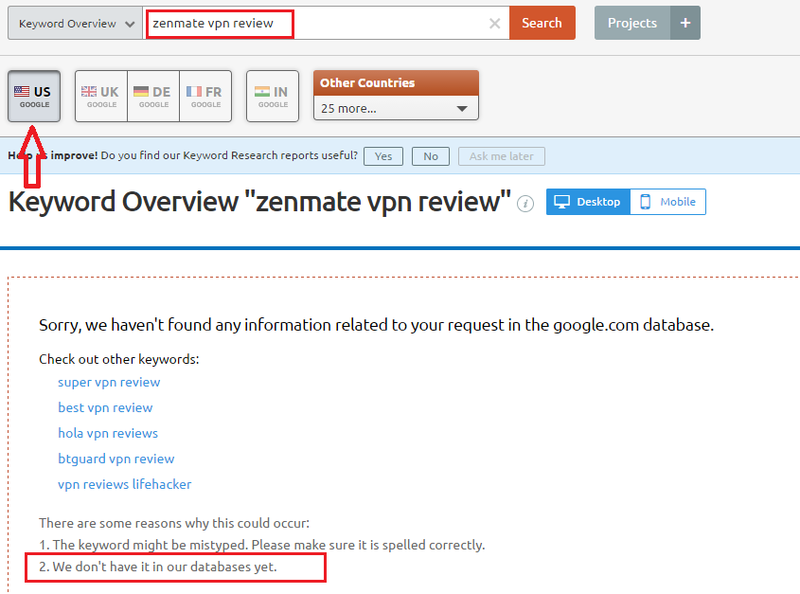 I performed the same thing and search with SEMRush and what I got in the result is shown in below screenshot. 1. The keyword might be mistyped. Please make sure it is spelled correctly. 2. We don't have it in our databases yet. So this is the reality of tool that was being recommended by affiliate Gurus. 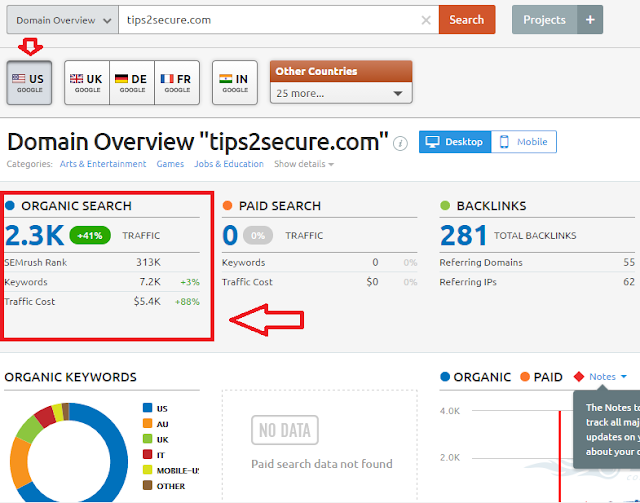 Still have any doubt on my words, if yes, then just go and search other affiliate keywords and you will get no results. Because they do not have fresh data they are just focusing on the marketing and the reviews to generate more and more sales. The second main thing is the followers of SEO and affiliate Gurus blindly believe on their words and recommendation and as a result, almost those followers do not succeed. It was just a single point and the truth I have revealed. Lots of points are still pending to show you guys. I made a search for my domain tips2secure.com in SEMRush and in Google search console as well to check the accuracy and the results I got are shown below. Now you can see and feel the difference yourself. 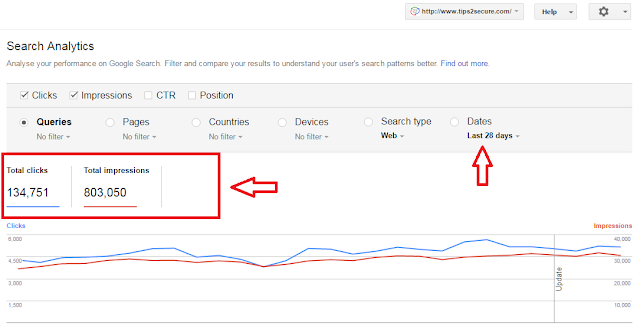 Just check out these screenshots carefully and you will find how old data of backlinks they are showing as compares to Moz, Google Search console, and Openlinkprofiler. If you still think SEMrush is the best tool to compete the strategies of your competitors then sorry to say but you're totally in the wrong direction. I have heard many a time that SEMrush is also good in finding the long tail keywords. Long tail keywords are those three and four keyword phrases which are very specific to whatever you are selling or searching in the google for your desired results. I am not going to add any screenshot for this point as this thing has already been proved in the list of Fact #1. It does not provide the data for the most searched affiliate keywords data then expecting the results for long tail keywords from this awesome tool is like making a crime in the SEO world. After seeing these two screenshots you will clearly understand how reliable this tool is. I mean you won't succeed or rank for any keyword if you are following SEMrush's any tool because all the things are proved in this post with proper screenshot and proofs. So this was all and the reality of the awesome SEM and SEO tool SEMrush. 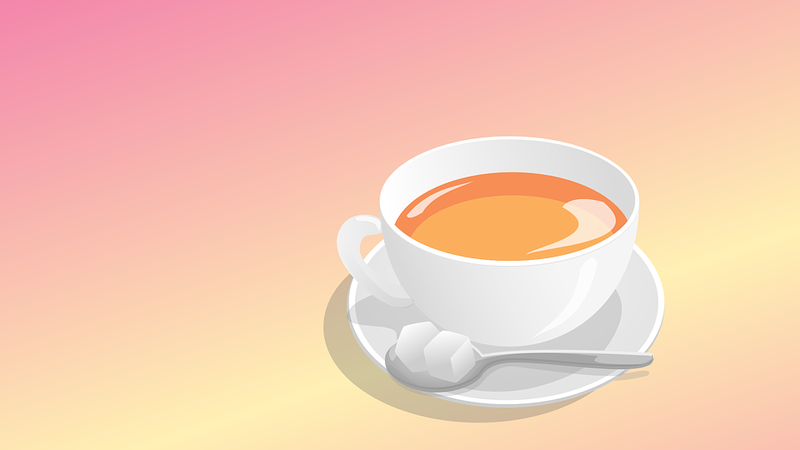 Now, I would like to recommend some tools that you may use for your blogging purposes which really works like a charm. My Five Top Rated SEO and SEM tool for Bloggers, Affiliate Marketers, and Web-Owners. Actually these days Adwords planner is not showing exact data of searches but they are showing the estimates in huge number which is not easily targetable. So, the only option to use Adwords planner is to create any Ad campaign then you will be allowed to use the Adwords keyword planner like as before and later you may stop your Ad. So, it won't cost you a lot. Google Adwords planner was working fine for Old account holders but now they have limited this access for new as well as for old Google account users. You should use Adwords planner only to get search volumes and to find related keywords. Don't go or take their competition level data into your account because that data is for Advertisers not for we publishers or bloggers. I tried almost all of the popular SEM tools on the internet like MOZ, SEMrush, Ahrefs, Spyfu, and many other tools. Some of them are good at some points and some of them are just focusing on their marketing to sell their products. If you are blogger or web owner then you might have heard about LTP or longtail pro because it is the only tool that helps you in ranking your keywords in the reality. I recently ranked one of niche affiliate blogs and now making good dollars. I can not share the URL of that blog but I would like to show you the real time pageviews of my that affiliate blog that is generating $$$$ and will generate more money in future. I used the Trial Version of Long Tail for 10 days by paying $1 and I liked this tool and then I bought their premium version. Then I found some keywords with the help of Google Adwords keyword planner and made a list of those keywords. Then I used Long Tail pro to find the exact competition of those keywords in search engine result pages. And the competition for those keywords was less than 30 that means it was easy to rank that blog with few quality backlinks. Then I started working on that blog and keep find more and more long tail keywords with the help of Long Tail pro. You should also give a try to Long Tail Pro once. 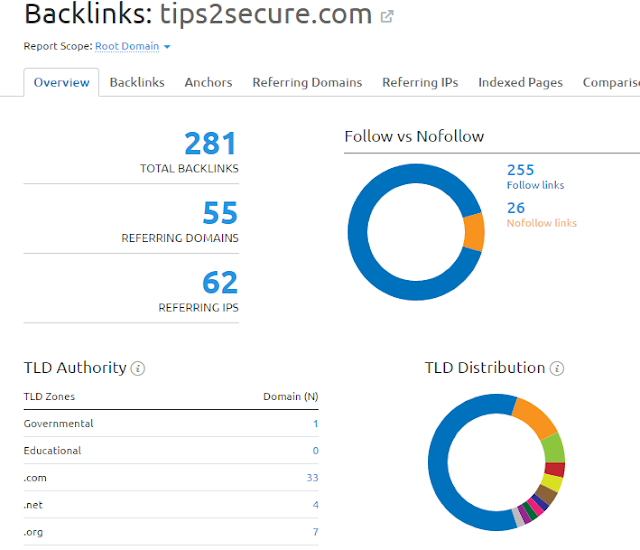 I recommend you to use only this service by SEOreview tool that helps in finding the backlinks of an individual post of your competitor's and their strategy. I always use MOZ to check the DA and PA of my own blogs as well as the websites of my competitors. This tool helps in analyzing the DA and PA of those websites who are already ranking on the first page for the keyword on which we are going to work on. This tool is also best in finding the SEO related issues to websites and blogs. It gives the explanation of each and every issue that cause the problem in the SEO of your blogs. I love this tool and often analyze my blogs using this tool check the quality and ensuring the search engine optimation. So these are the five tools that I recommend to my readers and those people who really want to grow in the blogging industry. At last, I can say If you really care your time and efforts then stop working and following those tools that do not provide any worth. The tools I have listed in my recommended tools, all of them are almost free and if you really want to Invest somewhere then you should definitely Invest on Long Tail pro or keep working on other free tools. What tools are you using? What is your experience with those tools? Please share your views here with our readers so that they can have clearer ideas in choosing the best one. Message: I hope that you have enjoyed 'SEMrush Review : I Do not Recommend SEMrush [Honest Views]' article. However, if you want me to deliver more items, then please share my post. You can use Social Sharing Widget provided at the end of every post. After all, Sharing is Caring! I am bit confuse this is a keyword research tool. So how can it improve ranking. For ranking seo is needed. Keyword research is also an Important part of SEO. Without keyword research how can you rank your website or blog post? If you target low competition keywords then you can rank easily in SERP's. I'm using semrush but free version. I'll try the pro in future. Thanks a lot for writing such an honest review. Wonderful Article. 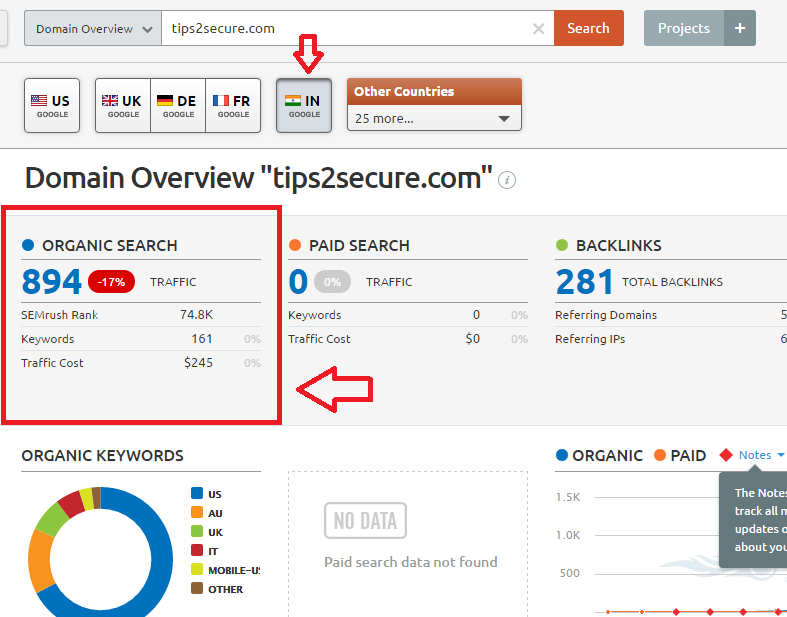 the only reason i use semrush is because of ranking keywords of any site. any alternative for that? Long tail pro is the best alternative to semrush. I agree with you but some features of SEMRush are awesome like Competitor's Keyword Research, Rank Tracker, SEO Audit, Domain Comparison. We can't ignore these epic features. Not every tool is perfect. SEMRUSH is not awesome but not so bad. I completely agree with you. There are many reviewers recommending SEMRush only for commissions but you are a honest reviewer! Thamks and I completely aggree with you. Share their premotion in your facebook timeline.